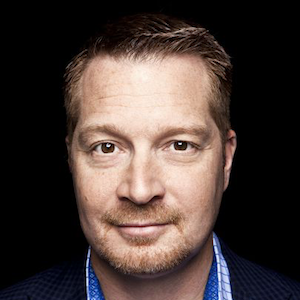 Serial entrepreneur George Kurtz co-founded CrowdStrike, a leading provider of next-generation endpoint protection, threat intelligence, and services. Kurtz is an internationally recognized security expert, author, entrepreneur, and speaker. He has more than 23+ years of experience in the security space,including extensive experience driving revenue growth and scaling small and large organizations. His entrepreneurial background and ability to commercialize nascent technologies has enabled him to drive innovation throughout his career by identifying market trends and correlating them with customer feedback, resulting in rapid growth for the businesses he has run. His prior roles at McAfee, a $3-billion security company, include Worldwide Chief Technology Officer and GM, as well as SVP of Enterprise. Prior to joining McAfee, Kurtz started Foundstone in October 1999 as the founder and CEO responsible for recruiting the other six founding team members. Foundstone, a worldwide security products and services company, had one of the leading incident response practices in the industry, and was acquired by McAfee in October of 2004. George has been quoted or featured in many major publications, media outlets, and television programs including CNN, Fox News, ABC World News, Bloomberg, CNBC, New York Times, USA Today, Wall Street Journal, LA Times, The Washington Post, Associated Press, Network World, eWeek, CNET, and many others. He also authored the best- selling security book of all time, Hacking Exposed: Network Security Secrets & Solutions.